Cosmoprof North America, held at the Mandalay Bay convention center in Las Vegas, effectively ended tradeshow season for the NAILS team. 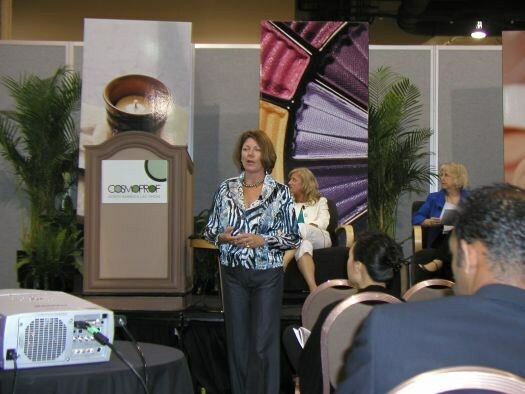 It was a whirlwind season; two of the Vegas shows (IBS Las Vegas and Cosmoprof) were almost back-to-back in Sin City. Check out my pictures from Cosmoprof, and don’t forget to check your October issue of NAILS for even more great memories from show season. 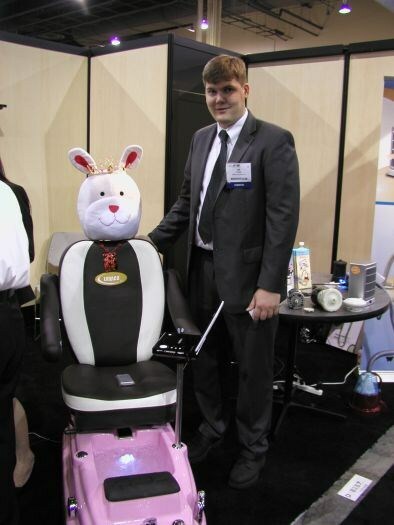 With kid’s nail services (like mini-manicures or ice cream pedicures) growing in popularity, the timing couldn’t be better for Luraco Technologies Inc, who launched this “Mini Spa” for children. Electrical engineer and project manager Jeffrey Tooley pointed out the stuffed animal headset, the child-appropriate size, and the built-in DVD player. Barielle president Mark Pollock and director of sales and marketing Jessica Weissman were happy to chat with me about the company’s fall polish collection. 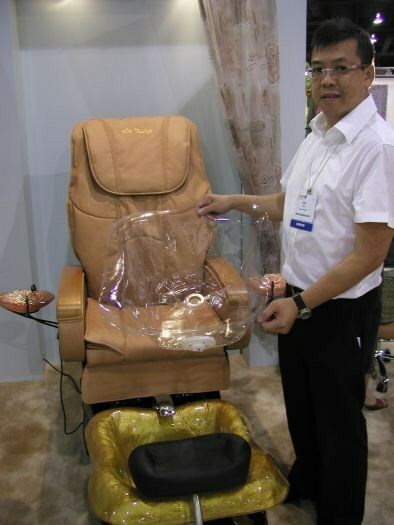 Gulfstream Plastics’ president Sang Tran showed off the company’s new CleanJet SL Liner, a one-use liner for pedicure chairs. Lorna Nehme of Depilève demonstrates the company’s new Milk and Honey Paraffin Service on me. I’m always happy for demos! 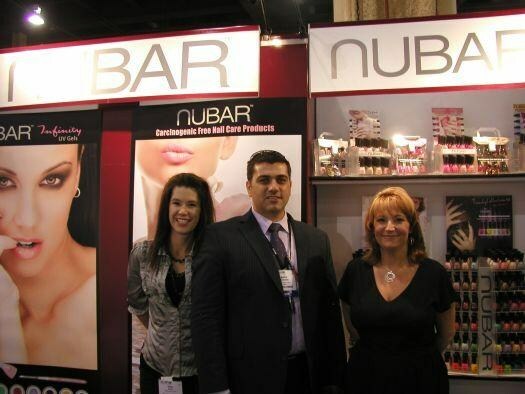 From left to right: Alisha Andrews, Noubar Abraham, and Denise Anderson told me about Nubar’s new user-friendly striper bottles, which feature caps with better grips and a sturdier design to avoid tipping. 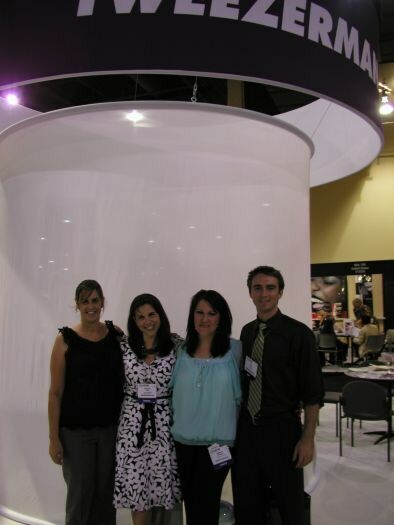 NAILS sales representative Mary (left) and associate editor Tim (right) pose with Tweezerman’s Debbie Wolk (second from left) and Maureen Beresford after learning about the company’s latest products. 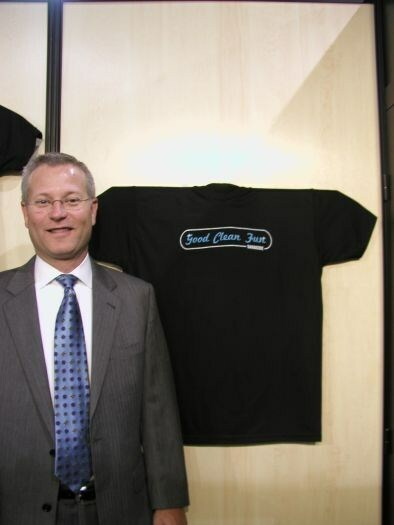 Barbicide president Alan Murphy poses by one of his company’s cute new promotional T’s. Tim poses with the ladies of Poshé, Sara Bryson (left) and Lynn Beaurline. Jessie Steele co-founder Claire Steele poses with some of her company’s supercute salon apron creations. Doing research for one of NAILS’ Boutique features (where we feature cool retail items for your salon), I came across these neat candles whose melted wax functions as massage oil. 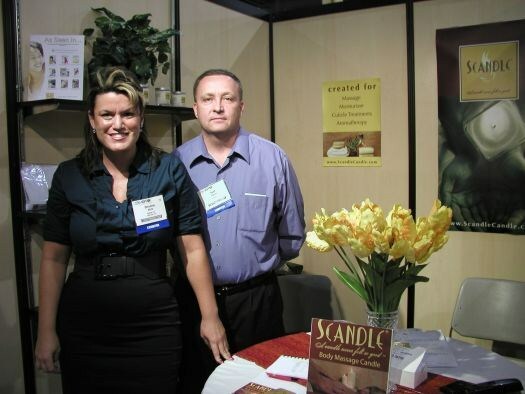 I was excited to meet Scandle’s co-founders Christine White-Stanton and Scott Stanton in person.